In my previous blog, I discussed the very strange reality that groups of giant people—or, the “Nephilim”—once existed in our history. We have found skeletal remains of these individuals, and they were almost deified within the artwork of many ancient cultures. More than that, I also exposed that giants are unarguably described in the Old Testament of the Bible. They are there; take them or leave them. However, I left off just short of discussing something equally important—where the Nephilim came from. If giants really did exist, how on earth could we account for them? In short, the biblical explanation for the origin of the Nephilim is even stranger than the Nephilim themselves. Trust me. So, what is the biblical explanation? Answer: the “sons of God.” (not to be confused with the Son of God, Christ) These are the entities who are responsible for the giants, and there is no shortage of hypotheses about who the “sons of God” are. Two of the better-known views propose that these were actually mighty kings who took for themselves a harem of women, or that they might simply be men from the line of Seth (the “Sethite View”). When evaluating the issue, it will become apparent that neither of these views make sense of things. “The Nephilim were on the earth in those days, and also afterward, when the sons of God came in to the daughters of men, and they bore children to them. Those were the mighty men who were of old, men of renown” (Gen. 6:4). Clearly, the sons of God joined themselves with human women and produced the Nephilim. It appears that we have our culprits, but do we know anything about who they really are? Are they simply powerful human beings, perhaps connected to great kings or the line of Seth (Adam and Eve’s third son)? Are they something else entirely? First, notice the clear difference in terminology in 6:4: sons of God vs. daughters of men. This immediately suggests that one group has more of a heavenly origin, and the other has the typical earthly origin. When we look closely at their titles, the mystery lifts considerably more. The phrase “sons of God” (bə·nê hā·’ĕ·lō·hîm) is exclusively used to discuss the angels. This is true in all ancient Semitic writings, not just Hebrew. This comes up clearly in Job 1:6, where Satan—who is unquestionably an angelic being—presents himself to God, along with other angels. They too were referred to as “sons of God.” This exact terminology also appears in Job 2:1 and 38:7, and Psalms 89:6 is almost assuredly a reference to the same beings (the angels). This means that if Genesis 6:4 is talking about some normal tribe of human beings, it would be the only known time that humans were called “sons of God” in all of the ancient Semitic writings, the Old Testament certainly included. So, the sons of God (the angels) “came upon” human women, which somehow brought about the existence of the Nephilim (giants). How did this transpire? There are really only two plausible options here: 1) This was procreation through some variety of sexual encounter, or 2) This was some type of advanced form of biological engineering or artificial insemination. While it would stun many of us to think this way, the former may make the most sense. As I will later discuss, Genesis 6 certainly describes their unions in sexual ways; the sons of God found the daughters of men to be beautiful, and took them as wives. That speaks volumes. Furthermore, it has long been thought, by some, that the apostle Paul referenced this awkward relationship when writing to the church at Corinth. While instructing the women there to wear their hair long—which was almost certainly in part to separate them from the pagan temple prostitutes, whom often shaved their heads (see 1 Cor. 11:5)—Paul offered a rather obscure reason for doing so: “Therefore the woman ought to have a symbol of authority on her head, because of the angels” (1 Cor. 11:10). Because of the angels? Really? In context, Paul was discussing the associations between men and women, both within the order of the church and in physical relationships. His point seems to be that women should be concealing their faces, as to not garner unwanted attention from the sons of God (the angels). The thinking may have been that certain individuals from among the sons of God would become attracted to these women, unless they somehow masked their beauty. This had occurred in the past, so it might be reasonable to suspect that it could happen to the women in Corinth as well. Paul’s talk of women being made for sake of men (1 Cor. 11:8-9) provides further reason to believe this, since it probably implied that women were not made for the angels. Hence, they were asked to make efforts to avoid attracting them. Then again, perhaps this was just another one of those places the apostle Peter spoke about. Concerning Paul, Peter once remarked: “His letters contain some things that are hard to understand, which ignorant and unstable people distort, as they do the other Scriptures, to their own destruction” (2 Pet. 3:16). True indeed. This may be one of those places. Regardless of our preferred interpretation of Paul’s advice in 1 Corinthians 11:10, it is no doubt a very strange situation. “Then the LORD saw that the wickedness of man was great on the earth, and that every intent of the thoughts of his heart was only evil continually. The LORD was sorry that He had made man on the earth, and He was grieved in His heart. The LORD said, ‘I will blot out man whom I have created from the face of the land, from man to animals to creeping things and to birds of the sky; for I am sorry that I have made them’” (6:5-7). This is not coincidental. The arrival of the Nephilim (through the sons of God) contributed to an increase of the corruption on the earth, so much so that God had to destroy it. Another curious thing is recorded in Genesis 6:2-3, and it directly affects humanity to the present-day. There, it is recorded that “. . . the sons of God saw that the daughters of men were beautiful; and they took wives for themselves, whomever they chose.” This doesn’t exactly sound like the women had much of a say in the matter! As a result, God capped the human lifespan at “one hundred and twenty years.” First of all, it strikes me as fascinating that this age cap appears to hold true in reality; this seems to be about the absolute maximum number of years that any human being can live. Second, the link between the sons of God claiming human women and the subsequent result of a diminished life span for human beings is incontrovertible. The sons of God entered the picture, and everything fell completely apart. Equally telling is the fact that Israel was always commanded to completely destroy those groups whom were associated with the Nephilim. Prior to Israel’s siege on the land of Canaan, God gave them these instructions: “Only in the cities of these peoples that the Lord your God is giving you as an inheritance, you shall not leave alive anything that breathes. But you shall utterly destroy them . . .” (Dt. 20:16-17). The Israelites were instructed to offer terms of peace to the other groups they encountered, sparing (to take as booty) the women, children, and animals, even if they refused the peace offering (Dt. 20:10-15). But what about all of those who were associated with the Nephilim? No such luck; all were condemned to death. It is abundantly obvious that God had a serious problem with these half man/half angel hybrids. When you combine this information with the previous blog, we come to some pretty shocking conclusions. The Nephilim were indeed real. Groups of giant people actually existed. They came about through the union of the sons of God and human women. The sons of God and the angels are one in the same, as is apparent in both the language and the usages of the phrase throughout the Bible. However, there are clearly good and evil angels within that broader group. Both the Nephilim and the particular group of angels that produced them are tainted beings at best, and completely corrupt at worst. As is so often the case within the world of the Bible, the truth can be stranger than any fiction we could conjure up. The Nephilim and their supernatural entrance into our world certainly illustrates this fact. 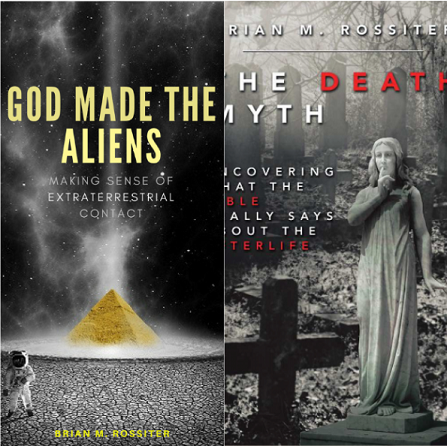 For more on these issues, and a host of other interesting phenomena, see my new book God Made the Aliens. In the year 1890, the French magazine La Nature ran an enormous story. Literally. The article was about an abnormally large human skeleton that had been unearthed at the Castelnau-le-Lez cemetery, in France. This discovery, dubbed the “Giant of Castelnau,” was made by anthropologist Georges Vacher de Lapouge. His findings were nothing short of remarkable. Based on comparing the recovered humerus, tibia, and femoral mid-shaft with average-sized human bones, de Lapouge concluded two major things: the remains were definitely human, and they probably indicated a person who would have been about 11.5 feet in height. As is so often the case, the whereabouts of these remains are unknown almost 130 years later, and the story has been largely lost to time. We do, however, know some crucial aspects of this case. The first is that de Lapouge, and three well-respected scientists at the University of Montpellier, examined the bones and felt as though they represented an incredibly tall race of people. Further, we know that the story appeared in La Nature, The London Globe, and The New York Times. The findings also appeared in other places from time to time, and all the reports seem to correlate with de Lapouge’s initial findings. In the ancient world, giant people were commonplace within the many cultures. For a couple of quick examples, this can be seen on the Abydos King List—found on a wall at the Temple of Seti I at Abydos, Egypt—and through drawings near Saqqura, one of which unquestionably displays a giant being who is attended by much smaller individuals. There is also the Victory Stele of Naram-Sin, a Mesopotamian artwork that clearly displays this theme. But we can rest assured that there is naturalistic explanation—i.e. one devoid of higher-level, intelligent causation or divine influence—for these phenomena. Mainstream science is never in short supply of those. Given the fact that gigantism so uncommon, it is exceedingly improbable that all of these examples from history can be explained by it. Clearly, gigantism will not work as an explanation, particularly when we are dealing with entire groups of giant people. We might be able to chalk an occasional set of skeletal remains up to gigantism, but an entire community of people? No, not a chance. Entire communities of people . . . This is where the Bible enters the picture. The Old Testament speaks several times of the Nephilim, or the “giants.” We are all aware of the biblical Goliath, an elite Philistine warrior who is traditionally considered to have been “six cubits and a span” (1 Sam. 17:4), or 9 feet 9 inches tall. The much smaller David of course defeated the giant with a perfectly placed stone to the head (via a deadly sling), but that’s not what interests me at the moment. What interests me is that Goliath was not the anomaly. He was not a three-in-one-million example of gigantism. Rather, he was one giant person among many others. The Philistines were (or at least possessed) an army of huge people. The Jewish spies that had previously scouted the land said it clearly: “There also we saw the Nephilim (the sons of Anak are part of the Nephilim); and we became like grasshoppers in our own sight, and so we were in their sight” (Num. 13.33). Maybe the miracle is not so much the stone that slew the giant, but the fact that the other giants threw in the towel afterwards. King Og was from a line of giants, and he had a giant bedstead. It all adds up. In ancient times, giant people were often portrayed as kings, pharaohs, military leaders, and other prominent roles. While theories abound on what ultimately became of the Nephilim, the surety of their existence cannot be ignored or explained away. For those who believe in the Bible, the existence of these strange beings is completely unavoidable. Like UFOs and many other strange things, giants are right there in the text, plain as day and clear as crystal. A truly important question remains though: where did these giants—these “Nephilim”—come from? Who, or what, made them? Good questions indeed . . . but they will have to wait until next time. While they so frequently appeared to the various biblical characters, in what way did they appear? Do angels have bodies of some type, or are they completely immaterial and unembodied? Well, there seems to be two streams of thought on this: the biblical view, and an alternative perspective put forth by those who claim to follow the biblical view. There is what the Bible describes, and then there is what many people take from that. The Bible presents us with beings who have bodies and physically appear to human beings, while a sizeable number of interpreters present us with just the opposite. Let’s begin by looking at just a few of the more notable times that angels appeared to people in the Bible. Two angels appeared to Lot, prior to the destruction of Sodom and Gomorrah (Gen. 19:1-29). They even ate dinner with him. Strange . . . how would an unembodied being eat solid food? The angel Gabriel appeared to both Zechariah (Elizabeth’s husband) and Mary, prior to the births of their incredibly important sons (Lk. 1:5-38). As we know, Elizabeth would give birth to John (“the Baptist”) and Mary would give birth to Jesus (the Son of God). In both instances, Gabriel physically appeared and spoke to them as one person would to another. On the evening of Jesus’ birth, the shepherds who were tending their flock received an incredible shock, as an angel appeared before them with a blinding light (Lk. 2:8-9). Afterwards, an entire group of angels appeared and proceeded to shout praises to God (2:13-14). An angel appeared to Peter while he was imprisoned (Acts 12:6-11). The angel proceeded to loose Peter from his chains and sneak him out of his cell to safety. Obviously, there are many other examples that could be mentioned. By my personal count, there are at least twenty unique events in the Bible where angels physically appeared to individuals. This does not count the numerous other examples that might qualify, but may also be visions of some sort. In all of these instances, the angel/s arrived in physical form. They spoke to, touched, and even sometimes ate with the human beings they were visiting. While this is what the Bible presents us with, many Christian thinkers have taken this information in a much different direction. The complete opposite direction, actually. According to these sources, the angels only take on physical form when they interact with us in our world. They do not really possess bodies or have physical appearance. This is all a good show for us humans. After they materialize to us, they leave and return to their good old immaterial, unembodied, incorporeal selves. But is that true? Is that even a conclusion one could rightfully reach from the biblical accounts? If you ask me, all of this is amounts to what philosophers call “special pleading.” This occurs when someone cites an example as an exception to an otherwise general rule, without providing sufficient reason why that is the case. In these instances, angels are considered to be unembodied beings, even though the Bible consistently describes them as having bodies. The reason why a plain reading of the text is rejected in all of these instances is almost entirely a philosophical (rather than a biblical) matter, one which I do plan on discussing at another time. Essentially, it boils down to an obsession with immaterial things and a disdain for material ones. For now, suffice it to say that viewing heavenly beings as immaterial and unembodied has more to do with Plato than it does with Paul. It’s good Greek philosophy, but crummy biblical theology. It is important to note that if you were only considering the Bible, and allowing it to speak for itself, you would very naturally come to the belief that angels have bodies. I am thoroughly convinced that so many have come to believe differently not based on Scripture, but on the outside influences of certain philosophical and theological perspectives. It is equally important to remember that the Bible was written by two categories of people: 1) Those who personally experienced the events described, and 2) Those who knew the people who personally experienced them. With that in mind, ask yourself a very important question: how would the biblical characters have understood their interactions with angels? Perhaps Lot thought to himself, “It only seems like those two angels are eating with me.” Perhaps Elijah said, “It only felt like an angel touched me, and that whole ‘chariot of fire’ thing was just a good show.” Perhaps Jacob believed he was wrestling around with a hologram: one that happened to physically dislocate his hip. Perhaps they all believed that what they were seeing was a temporary illusion of some sort. Perhaps . . . but it would really strain credibility. But it could be that the simplest answer makes the most sense of these events. Maybe it really is just as the biblical writers understood things, and the angels appear to us in physical form because they actually have bodies. The apostle Paul very carefully described the types of bodies they have (and we will someday have) in 1 Corinthians 15:35-49, and they are most definitely not completely identical to our own. However, they are bodies of some form or fashion nonetheless. Based on the biblical descriptions, it is fair to say that the angelic form is not so radically different than our own that they are unrecognizable. They are at least somewhat human in appearance. That is consistent throughout the entire Bible, and is even true of Jesus’ post-Resurrection appearances. He didn’t look quite like the Jesus of old, but he also didn’t look like some other type of creature altogether. He was still human-like in certain respects. As I have touched upon before, one day we will also have the type of body that both Jesus and the angels possess. In the end, it seems much more logical to accept the multitude of biblical accounts about angels as they were written and as they would have been understood by the biblical characters, rather than turning each one of them into some type of heavenly mirage. Angels are not immaterial beings; they have bodies. Author Brian M. RossiterPosted on January 11, 2019 January 24, 2019 2 Comments on Do Angels Have Bodies? Just a month or so ago, I saw what I deem to be the second UFO I have ever personally witnessed. The object was an extremely bright light that would disappear and reappear in an instant. It would also jump great distances very quickly. There was no trace of man-made vehicles or debris anywhere in the area: just the lights. My wife and daughter saw this as well, as did many other people in the surrounding area. You can verify this here. I saw my first UFO twenty-five years ago, as a child, while on vacation at Lake Erie. My entire family saw it—a circular object with lights, which hovered in one spot for hours until it utterly vanished. I have seen other objects/phenomena that may well have had an otherworldly origin, but nothing I feel strongly enough about to classify as such. I know full well that many people do not believe in UFOs. I can understand the hesitation, even though the evidence is very strong in favor of their existence. That will likely be for another blog, however. For now, I am more interested in what the Bible says about the issue. I have come to find that deeply religious people are often more opposed to believing in UFOs than any other group. This really puzzles me, because the Bible has quite a lot to say about the matter. More than that, it is pretty clear on what it offers. We all know about the great chariots that the Egyptians used in chasing after the Jewish people during the Exodus. All the surrounding cultures had similar chariots, and most of the biblical references concern earthly transportation devices. It was the official term of the period for anything human beings rode in. However, human beings were not the only intelligent entities who had chariots; these were not solely used to travel on the ground. In the case of the angels, chariots were flying vehicles. Don’t believe me? Let’s look at some examples. “Now when the attendant of the man of God had risen early and gone out, behold, an army with horses and chariots was circling the city. And his servant said to him, ‘Alas, my master! What shall we do?’ So he answered, ‘Do not fear, for those who are with us are more than those who are with them.’ Then Elisha prayed and said, ‘O Lord, I pray, open his eyes that he may see.’ And the Lord opened the servant’s eyes and he saw; and behold, the mountain was full of horses and chariots of fire all around Elisha” (2 Ki. 6:15-17). Just like that—and in a flash—the angelic army appeared! Interestingly, this is strongly connected to Jesus’ statement to his apostles (that they should sheathe their swords) when the Roman soldiers came to capture him: “Or do you think that I cannot appeal to My Father, and He will at once put at My disposal more than twelve legions of angels?” (Mt. 25:53) The angelic army that Elisha and his servant saw was likely the same group Jesus was referring to. Of course, most of us are aware that the prophet Ezekiel had an encounter with something strongly resembling a UFO. The account can be read here. Clearly, the prospect of spinning wheels, flashing lights, glowing metal, and plenty of fire (exhaust? ), all allude to some type of flying craft. Throw the “four living beings” (pilots?) into the mix, and that conclusion seems inescapable. Furthermore, both Isaiah 66:15 and Jeremiah 4:13 describe the Lord’s return with “fire” and “chariots.” David’s instructions to Solomon regarding how to construct the temple also involves these vehicles. 1 Chronicles 28:18 describes the cherubim on the ark of the covenant as being somehow connected to a chariot. The angels spreading their “wings” of course implies flight as well. Visions of heavenly chariots also occurred, like in Zechariah 6:1-9. What these otherworldly vehicles that the angels are piloting actually are, of course, remains somewhat of a mystery. However, we can have little doubt that they possess flying crafts of some sort. Prominent biblical figures saw them, wrote about them, and even physically encountered them. As the Bible explains things, they are real. It may be difficult for some of us to imagine that our most cherished text–one of the strongest foundations for belief in all the world–speaks about UFOs this way. But it does; it simply does. If we feel uneasy about this proposition, we can always close our Bibles and stop searching for the truth on the matter. That would be our only course of action, if we are going to believe in the Bible but reject what it says about otherworldly vehicles. But that may not stop any of us from seeing a UFO–or should I say, a UFA (Unidentified Flying Angel)–as it hovers in the night sky, or streaks over our heads. If you do happen to encounter one of these UFAs, send my regards to the prophet Elijah, if you please. The Feathered Serpent: Deity or Devil? The people of Teotihuacan were an extremely interesting group, to say the least. Nowhere is this more evident than in their adoration of the “Feathered Serpent.” This mysterious creature—which was also popularly called Quetzalcoatl, by the Aztecs—grew to nothing short of god-like status to many people living near the pre-Columbian Americas (collectively referred to as the “Mesoamericans”). But was the Feathered Serpent really a god . . . or was it a devil? This entity was typically depicted as a long, serpent-like creature that possessed feathers (or wings) on various parts of its body. As the picture on this blog shows, the feathers are especially prominent around its head, making it somewhat resemble a lion. It is almost universally accepted that the serpent aspect is supposed to display its relationship to the “earthly realm.” It moves along the ground like all other worldly creatures. While putting wings on a serpent may seem very out of place, it actually makes a great deal of sense in this case. Like many other cultures of that day, the people of Teotihuacan believed they had been placed on Earth by “sky beings.” That is, entities from somewhere else in the cosmos were responsible for their creation. The feathers, or wings, prove that the Feathered Serpent also had supernatural powers and that it could ascend to the greater realm of existence. The Feathered serpent had roots in our world, and also in the world of the heavenly beings. At the surface-level, the Feathered Serpent should have us scratching our heads a bit. It has to be remembered that communication across distant lands was far, far different in that day and age. There were no telephones or telegraphs, no airplanes or helicopters, or any of the like. There were also no known land bridges between the continents at that time, and few cultures (if any) were able to traverse vast oceans via ship. It was absolutely nothing like it is in modern times. Yet, serpent figures were revered around the world by geographically separated peoples. Teotihuacan—which was located in the modern-day Valley of Mexico—is nearly 8,000 miles away from, say, ancient Israel. The people who were worshipping the Feathered Serpent lived on the opposite side of the world from the Jewish people of the day. Without question, the serpent is a tremendous character in the Bible as well. A serpent deceived Adam and Eve, causing sin to enter the world (Gen. 3). That same serpent is later identified as a horrible and treacherous monster (Is. 27:1). In due time, we came to understand that the serpent is Satan himself: a fallen, evil angel who possesses incredible power (2 Cor. 4:4, Rev. 20:2). Homage to great serpents was also paid in Africa, Egypt, Asia, and even North America. Just a short drive from where I live, the Great Serpent Mound is evidence of the latter. It was constructed by the Adena culture, or perhaps an earlier group of Native Americans, to house their dead. All of this becomes even more unusual when you consider Teotihuacan’s greatest architectural structures, and how they correspond to others around the world. I wrote about this extensively in this blog, and in God Made the Aliens. There is an incredible difference here though: Mesoamericans deified the Feathered Serpent, while the Jewish people living in the Middle East viewed their serpent figure as the complete antithesis of God. The enemy of Yahweh and His people was thought to be a savior of sorts by the Aztecs, Mayans, and other groups. This is where things get particularly interesting. The Temple of the Feathered Serpent—which is thought to have been built near the end of the 2nd century BC—has some really mysterious qualities to it. Beneath the pyramid is a series of interconnected tunnels, all leading to a three-chamber core in the center. The people of Teotihuacan sprinkled powdered pyrite on the ceilings, in order to create a “starry sky” appearance. On the ground were rigid carvings that mimic Earth’s terrain, and statues of people gazing at the stars above. Strangest of all is that the chambers were intentionally flooded with liquid mercury, in order to create a massive underground lake. This was a very extensive process. But why do all of that? What is the significance? It is believed that they did this to create a mini-cosmos in the depths of the ground: a miniature “underworld,” so to speak. The Feathered Serpent was thought to have come from (and to have preferred) this watery underworld, but was able to ascend or descend to all three great realms of existence: the underworld, the earth, and the heavens. It was thought to seamlessly slither (and sometimes fly) between the three locations. That being the case, it had power over the whole universe. Curiously, the Feathered Serpent was chiefly a figure of the underworld. It was a creature with its origins in death. Recall the Great Serpent Mound in Ohio, which was intended to house the dead. Moreover, many cultures—including the Mesoamericans—often made human sacrifices in order to appease the serpent god. Nothing short of human blood would satisfy its thirst. This theme is pretty consistent with all prominent serpentine figures across the world and throughout history (the Greek “Medusa” even comes to mind). If we really think about it, the Judeo-Christian faith affirms these same ideas. Does the Bible not depict Satan (the “great serpent”) as being connected to the underworld? Does the Bible also not depict Satan as a figure of incredible power, who has a connection to the heavenly realm? Is it not said that Satan is “roaming throughout the earth, going back and forth on it” (Job 1:7)? In effect, isn’t the “angel of light,” as Paul called him (2 Cor. 11:14), connected to the same three major realms that the Feathered Serpent is: the underworld, the earth, and the heavens? The parallels are absolutely unmistakable, if you ask me. In conclusion, this shows us some very interesting things. The first is that there is a cross-cultural consensus that a powerful, otherworldly figure exists who is strongly associated with a serpent. The reasons offered for why the serpent figure is used vary, but there is no mistaking this point. This is further evidence that the same supernatural beings have visited the entire world. Not only do other beings exist, but they have shown themselves to us in many, many ways. Second, it shows that this figure is also viewed as being strongly associated with dark or malevolent forces. While the Bible portrays this figure as the antithesis of good, and the opponent of God and His people, this same figure came to be worshipped by other cultures. Third, it shows that the Feathered Serpent is more devil than deity. It is an evil entity that was able to convince a great many people to worship it as God, sometimes even demanding its followers to sacrifice their fellow man for its glory. It pains me to say it, but the same force that propelled the worship of the Feathered Serpent in Teotihuacan is still very much at work in the world today. While the statues may not exist in plain sight, its power among the people certainly does. In fact, the Feathered Serpent may now be showing its face in more ways than ever. Author Brian M. RossiterPosted on November 30, 2018 January 24, 2019 Leave a comment on The Feathered Serpent: Deity or Devil? Like most of us who believe in the Bible, I have always thought that a massive flood once took place on our planet. It is true that I have gone back and forth at times on the matter. I have wondered if said flood literally encompassed the entire Earth, or merely covered the area that the ancient Hebrews regarded as the “world” or the “earth.” I have geared towards believing that the Great Flood actually only occurred near the ancient Middle East. I held to this largely for scientific reasons, but I shouldn’t have. As with almost everything else in science, the data about a great flood was sure to change. It was also fabricated to begin with. I have come to believe that the entire Earth—every last bit of it—was once flooded. While the “scientific evidence” had me believing otherwise, that same evidence now has me thinking differently. Two things changed. The first was my realization of the extent to which marine fossils exist all over the world, from the highest mountains to the driest deserts. The second was the prevailing scientific ideas about how that actually happened. They are bad, and that is putting it mildly. So, marine fossils clearly exist atop the very highest places on the planet. Most of us know that such relics have no business existing on of our most prominent mountains ranges. But ask the mainstream scientific community how that may have occurred, and you will be stunned. Their answer? The shifting of tectonic plates and the movement of the Earth’s crust. You guessed it: as these phenomena occurred, giant pieces of land literally burst forth from hundreds (or even thousands) of feet below the sea. We now find marine fossils on the tops of mountains because they all once existed beneath the oceans. You know, where sea creatures live. Putting aside the fact that something of that magnitude—a mountain anywhere near the size of Everest emerging from the sea—has never happened in recorded human history, there is another massive problem here. Simply put, most of our spectacular mountain ranges (like the Himalayas) are believed to be more than a billion years old. Sometimes, much older. Hmmm . . . the mountains are that old, but they existed beneath the sea when ancient whales, dolphins, and myriad other types of sea life were swimming around. Something smells a bit fishy, if you ask me. Considering the fact that whales, for example, are generally believed to have arisen around 55 million years ago, we have a giant issue on our hands. The whales arose 55 million years ago, but the mountains we have found them on came to exist more than 1 billion years ago (at least). Math is not my strongest suit, but that is a separation of at least 945 million years, give or take. It seems to me that the whales would need to have existed before the mountain ranges did, if they were to have become fossilized on them. Right? There is absolutely no way that marine fossils could exist on mountain ranges, if the mountain ranges came to exist hundreds of millions of years before the sea creatures themselves! The mountains would have existed very long before creatures like whales were ever around. Yet, whale fossils (and others) exist on our highest mountains. I simply don’t see a reenactment of Free Willy, where a giant whale jumps 29,000 feet out of the water and lands on a mountain. But that’s just me. More than that, we have found ancient whales, dolphins, large fish, and aquatic sloths in abundance in most of the world’s deserts. Chile’s Atacama Desert and the Pisco-Ica Desert are two very notable examples. But how do we explain that particular phenomenon? That’s simple: a bazillion kajillion years ago, the Earth was a very different place. Our deserts were underwater. Our mountains were beneath the sea. Most of our seas were actually dry land. Waterfalls flowed up from the ground, and toilets even swirled backwards! Oh, the stories our mainstream scientific community will tell us. Ask yourself this: do these explanations make sense of the marine fossils found all over the globe, from the driest deserts to the highest mountains? Or, might something else be just a little more logical: a little easier to swallow? Perhaps our most basic intuitions are right on this one. Maybe the Earth was once covered with water because of a cataclysmic event; that is how the remains of deceased sea life ended up scattered almost everywhere imaginable. For more about the Great Flood and a host of other interesting phenomena, see my new book God Made the Aliens. Hey Paul, what about the dead? One time—and one time only—a prominent figure in the Bible was asked specifically about what happens right at death. This person was the apostle Paul, and he was responsible for roughly half of the material in the entire New Testament. Next to Jesus himself, Paul was the perfect person to talk to about such matters. The believers at the church in Thessalonica, like a lot of us, were very concerned about what would happen to them at death. They were particularly concerned because many years had passed since Jesus’ resurrection, and there had been no sign of his return. Along the way, their fellow believers had passed from this world. This situation lead them to asking Paul—their spiritual guide and mentor—a very important and succinct question: what happened to all of the believers who have died? The following is taken directly from The Death Myth, and it describes the significance of what Paul was telling them. I find this to be fascinating. Where is the talk of becoming immaterial spirits after death? Where are the statements about realms for the dead, and life between this world and the one that is to come? Indeed, if that was Paul’s view on the matter, he really missed his chance to say it. He missed the best chance that anyone in the Bible ever had to say it. There is no better example in all of Scripture to point to. The biblical view of the afterlife is all about the resurrection and the return of Christ. Like Paul’s words to the Thessalonians, immaterial spirits and interim periods should not enter the picture. They simply aren’t a part of it. Author Brian M. RossiterPosted on August 10, 2018 November 30, 2018 Leave a comment on Hey Paul, what about the dead?